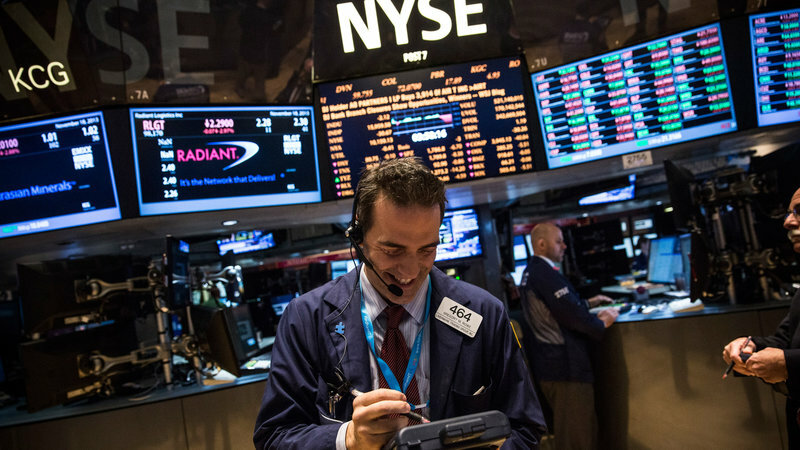 Dow Jones futures fell early Monday morning, along with S&P 500 futures and Nasdaq futures. Turkey’s lira crashed yet again as President Recep Tayyip Erdogan remained defiant. Tesla (TSLA) is likely to come under more scrutiny as investors still await any sign that CEO Elon Musk has a viable plan to go private with “funding secured” as he claimed. Meanwhile, few top-rated stocks report quarterly results this week. But Baozun stock, Nvidia stock and Macy’s stock are all near buy points with earnings on tap. Dow Jones futures fell nearly 0.5% vs. fair value. S&P 500 futures lost 0.4%. Nasdaq 100 futures sank 0.4%. The lira plunged once again as Turkey President Recep Tayyip Erdogan blasted the U.S., ruled out interest rate hikes and said he won’t take an international bailout. The lira pared losses, at least briefly, as banking regulators limited some foreign exchange and lira swap transactions. A plummeting lira hit global currency and stock markets Friday, with the U.S. dollar hitting a 14-month high. Erdogan’s economic policies have spooked investors — among other things, the authoritarian ruler believes that raising interest rates spurs inflation. Turkey has run up huge foreign debt and current-account deficits, making it especially vulnerable from a currency run. Adding to the fire, on Friday President Donald Trump doubled U.S. steel and aluminum tariffs on Turkey, seeming to believe that the NATO ally is deliberating weakening its currency. Last week the S&P 500 index and Dow Jones fell modestly, hurt by Friday’s stock market retreat. The Nasdaq composite hung on for a slim gain. There has been a recent boomlet of top stocks breaking out bullishly. But nearly all of those moves, from Apple (AAPL) to Zoetis (ZTS), have come on earnings reports. That raises concerns that breakouts will dry up until the next earnings season, with stocks moving sideways. That’s what Apple stock has tended to do over the last several earnings reports — a big move for a few days or weeks and then sideways action. This week just five companies with Composite Ratings above 90 are on tap with earnings: Baozun (BZUN), Petiq (PETQ), Madison Square Garden (MSG), Macy’s (M) and Nvidia (NVDA), which only the first two above a 95 CR. The IBD Composite Rating combines several proprietary IBD ratings, including earnings. All-time stock winners often have Composite Ratings of at least 95 near the start of their big runs. With each day, it becomes more clear that Tesla CEO Elon Musk did not have “funding secured” for a deal to go private at 420 a share. Tesla’s board seems to have little more information than the general public. Tesla would be the biggest private buyout in history. Saudi Arabia’s Public Investment Fund is open to taking part in a go-private deal, Bloomberg reported, while Reuters said that the fund had no such interest. The sovereign wealth fund has taken a small but significant Tesla stake already, according to a Financial Times report released Tuesday shortly before Musk’s tweet. Meanwhile, Softbank’s Vision Fund, which recently invested in General Motors’ (GM) Cruise autonomous driving unit, is not interested in funding a Tesla buyout. Tesla stock skyrocketed Tuesday on the Musk tweet, nearly hitting a record high. But as doubts set in, shares pulled back to close Friday at 355.49. That’s almost exactly where Tesla stock was when Musk made his initial “go private” tweet. The SEC is taking a close look at his statements, which have already spawned investor lawsuits. Anyone who covered a short position or bought Tesla stock on Tuesday after Musk’s tweet lost out. If this weren’t Tesla, growth investors wouldn’t give the stock much of a look. It has consistently lost money. The Tesla stock chart is messy; shares haven’t made progress in nearly a year. Its relative strength line, which tracks a stock’s performance vs. the S&P 500 index, has been lagging for more than a year. The RS line is basically where it was in early 2014. And Tesla stock has a Composite Rating of just 30. The graphics-chip maker reports late Thursday. Nvidia earnings should swell 80% to $1.66 a share, with sales rising up 39% to $3.11 billion. Once focused on PC gaming, Nvidia chips are now also used in artificial intelligence, autonomous driving and Bitcoin mining. Nvidia stock has a 269.30 buy point from a flat base going back eight weeks. But it’s a late-stage pattern. Breakouts from late-stage bases are riskier, though they can work. Nvidia stock closed Friday at 254.79, finding support at its 50-day moving average. Baozun reports before Tuesday’s market open Tuesday. Analysts expect Baozun earnings of 13 cents a share. Baozun helps companies, including many Western businesses, sell goods online in China. Baozun stock is in a cup-with-handle base with a 66.03 buy point. The stock closed Friday at 55.31, near the bottom of the deep handle and several points below its 50-day moving average. Several other Chinese internets report earnings this coming week, including JD.com (JD), Tencent (TCEHY), YY.com (YY) and 58.com (WUBA). The sector has struggled in recent months, as China’s economy slows and the Shanghai composite falls into a bear market. Macy’s earnings are expected to be flat at 48 cents a share. Revenue should edge up 0.7% to $5.59 billion. Macy’s stock has more than doubled since early November amid broader confidence in the sector, helped by a strong economy and tax cuts for businesses and consumers. Restructuring efforts, including store closures, also have helped results. But as Q2 estimates show, Macy’s earnings are no longer benefiting from easy year-earlier comparisons. Still, Macy’s stock is flirting with a 41.04 buy point from a cup-with-handle base. Shares closed Friday at 39.97. Upscale Nordstrom (JWN) and downscale JCPenney (JCP) also report earnings this week. So does discount giant Walmart (WMT).